A winning streak can turn a season around in just a matter of weeks. On Thursday, both the Dallas Cowboys and New Orleans Saints put their win streaks on the line and inch their way closer to the playoffs. The Saints are riding a 10-game win streak since week 2 and the Cowboys, for whom some believed this season was lost, are on a three-game win streak that could save their almost lost season. However, the Saints are a different animal than any team they’ve faced so far. The Cowboys beat the likes of the Eagles and Falcons, who are both having down seasons, and an injury-ridden Washington Redskins team. The Saints are the Cowboys' toughest task on their schedule by far. Already this week, Cowboys fans and experts have started to look ahead to next week's game, penciling in this contest as a loss. They might want to slow down for a second. It’s not outside the realm of possibility that the Cowboys can pull this off. Yes the Saints are the best team in the NFL but that doesn’t mean they’re unbeatable, it doesn’t mean they don’t have weaknesses, and it doesn’t mean the Cowboys can’t find and exploit their weaknesses. Even the great warrior Achilles was thought to be unkillable until he was struck in his heel. Goliath was thought to be unstoppable, until David came with a slingshot and a rock. There’s always going to be an overwhelming favorite, but there’s really no such thing as unbeatable. In this case, the Cowboys have their slingshot, and here’s how they can win. The Saints can out-score just about anyone they want. In only three games, they were held at 30 points or less. In those three games, they played the three best defenses they’ve faced so far: Cleveland, Baltimore and Minnesota. All three of those defenses have playmakers at all three levels. They’ve got pass rushers, good linebackers and solid secondaries. The Cowboys are a mirror image of that. 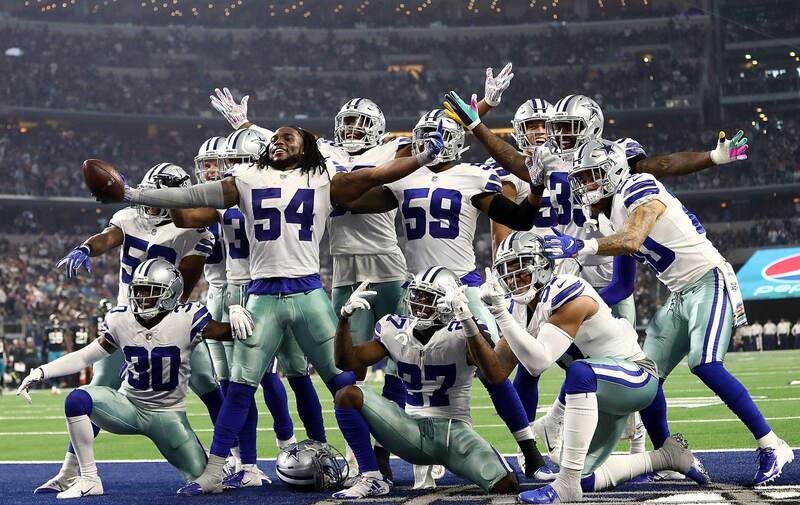 Dallas comes in with the fourth-best total defense in the league, and with playmakers to spare: DeMarcus Lawrence, Byron Jones, Jaylon Smith and Leighton Vander Esch, to name a few. The best offenses the Cowboys have faced so far have been Carolina, Seattle and Atlanta. In those contests, they allowed only one 100-yard rusher, one 300+ yard passer and none scored more than 24 points. In fact, the Cowboys have not allowed any team to score 30 or more points all season. 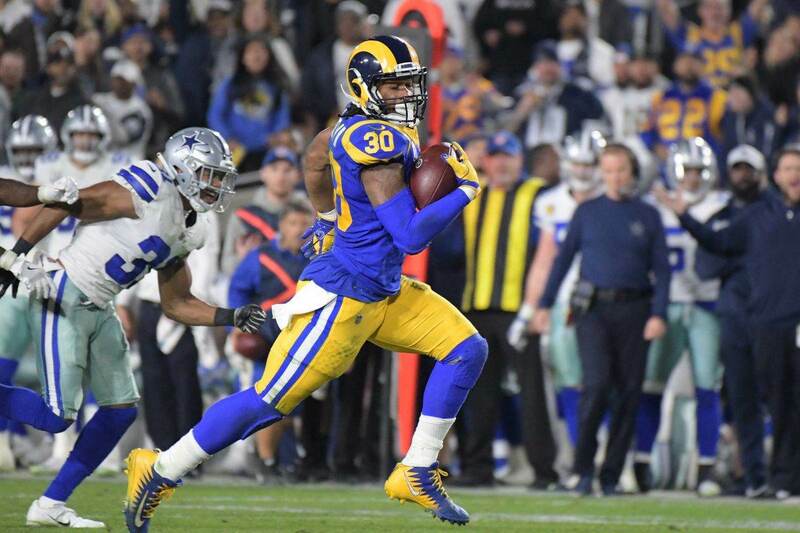 It's true they’ll give up yards from time to time, but this defense has done an exceptional job of forcing the kicking game to score instead of opposing offenses. Doing this to the Saints, who can score at will, defense will be HUGE. Hopefully we see plenty of Wil Lutz. At the time of the Amari Cooper trade, everyone thought the Cowboys overpaid for a wide receiver. In the four games Cooper has been in Dallas, the offense is moving better in all aspects. The Cowboys' new, young triplets seem to have meshed well into a formidable offense that has caught the league's eye. Don’t believe me? The numbers speak for themselves. Dak Prescott - 91-130 for 1,010 yards, five touchdowns and one interception, with a 102.3 passer rating, including three rushing touchdowns. Ezekiel Elliott - 85 carries for 455 yards (5.4 yards per carry) and three rushing touchdowns. 22 receptions for 187 yards and a touchdown. Amari Cooper - 22 catches for 349 yards (15.9 yards per catch) and three touchdowns. Each week Dak Prescott gets better at throwing it to Cooper. As a result, not only is Prescott playing more like everyone planned, but it’s also helping Ezekiel Elliott. He’s once again reclaimed the top rushing spot and is only getting hungrier. These three players will be key against the Saints defense. 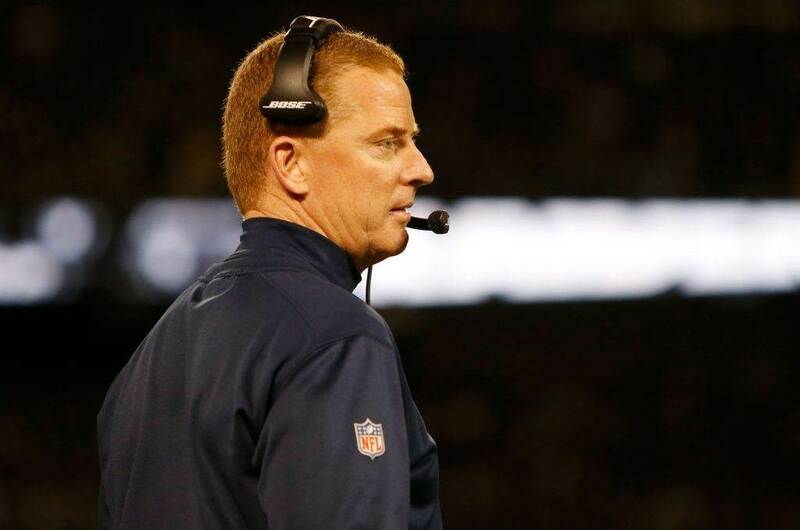 Feeding off the last point, the Dallas Cowboys offense needs to produce. However, this week the game plan may need to be tweaked a bit. The Saints defense is 1st against the rush, but 30th against the pass. It looks like while the Cowboys like for the running game to open up the pass, the pass will need to open up the run. This would be a bit out of character for the Cowboys, who pride themselves on running the football with the league's leading rusher and a mobile quarterback capable of making plays with his legs. The Cowboys have the ability to spread the ball around. 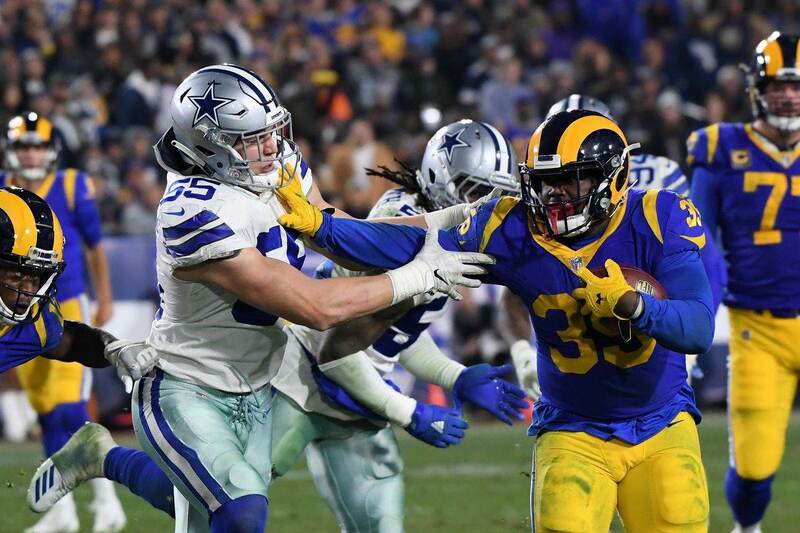 Whether it’s Amari Cooper or Ezekiel Elliott getting the bulk of the targets, or Michael Gallup or Cole Beasley who have been open more recently as a result of defenses keying in on Cooper and Elliott, the Cowboys have the firepower but they’ll need to change the way they play for this week. Drew Brees is able to do so well not just because he’s a hall of fame-level quarterback, and the Saints don't have a great offensive line or solid receiving corp. A lot of it is because of Thunder and Lightning; Mark Ingram and Alvin Kamara. Kamara can beat you with his outside speed and ability to catch the ball, while Ingram can beat you up physically between the tackles and with his underrated closing speed. It’s not likely that they both have an off day. Usually they both come on strong, or one makes up for the other. To stop Ingram, you need a strong defensive line that doesn’t blow tackles. To stop Kamara, you need fast linebackers and a secondary that can match a player's closing speed. Luckily, Dallas has both. If the Cowboys are able to slow down and contain the Saints' running game, it would make the Saints one-dimensional, even if that puts the ball in Drew Brees’ hands. If they can’t stop one or both of these running backs, it will be a long game for the Cowboys defense. The Cowboys have done a better job of not just going with their simple game plans like run on first down, pass on second down; or run out of an I-formation with two tight ends. In recent games, the team has done a good job of opening up the playbook and spreading the offense out. Against the Saints, with the NFC East up for the taking, they’ll need to make all the stops. They can’t simply keep handing the ball to Elliott and throwing it to Cooper, but need to implement more players and formations to confuse the Saints defense. The Saints defense has great personnel and can match up well with Dallas and if Dallas keeps their same script, the team will miss this golden opportunity. Once the offensive playbook is opened up, the Cowboys have the firepower to take over the game. Jason Garrett and Scott Linehan can’t stick to their old tricks if they want to beat New Orleans. This game can set the tone for the rest of the year if they can pull it off.